RALLY FINLAND – KIMI ON THE MOVE! Sorry for the delay of the review, guys. But here it is. 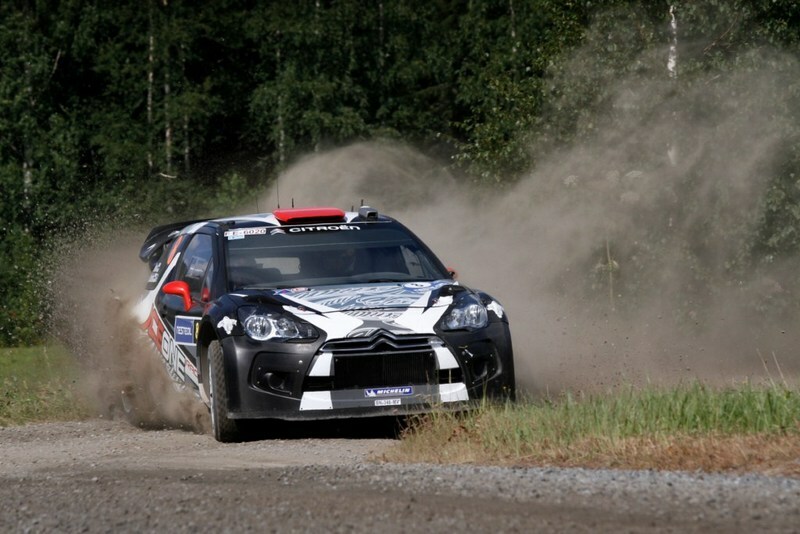 July 28-30, 2011 saw the return of the crown jewel in the rally calendar: Rally Finland. Rally of the 1000 Lakes as it was called in the good old days. And now the more commercial Neste Oil Rally Finland. But whats in a name? This is the fastest rally in the calendar! Long flowing stages through the Finnish forests with speeds nudging the 200 kph mark with trees and other dangerous obstacles whizzing by. And dont forget about the jumps – Rally Finland is notorious for those. So there was plenty of action to take in for any rally fan. Lets get kicking, shall we. The rally got started on Thursday already with 3 stages instead of the typical one stage at a spectator friendly area. These were proper long stages, so a lot could happen here. And it did. Mikko Hirvonen struck a tree on the very first stage and lost 40 seconds on that stage alone. A serious setback as he was considered to be the favorite for winning here. On SS2 he lost close to a minute to the lead and another 30 seconds on SS3. His chance for victory was unfortunately over. Kimi on the other hand kept it together. Maybe a bit too much I thought. We are getting used to his cautious pace on the first day, but after day 1 he was 13th overall. Not encouraging as he usually is comfortably within the top 10. In his defense, there were a lot more drivers competing here in Finland compared to most rallies. 115 cars started on Thursday. Compare that with the 35 starters in the previous rally in Greece and you get an idea of the competition and the popularity of the event. 2 of these local talents were placed ahead of Kimi after Day 1: Hänninen and Ketomaa. Ketomaa even won the first stage. Indeed it is. Thank you Mar, for pointing out these very important statistics. Kimi is not yet able to fight at the top, so its currently all about improvement. SS11 wraps up the day and Team IceOne is 12th overall. Not a big climb but would easily have been inside the top 10 without the incident on SS6. Saturday and it is the final day of the rally. The fight at the top is very intense between Ford man Latvala and the two Sebastians in the factory Citroens. Loeb is doing an amazing job by being first on the road and therefore having more loose gravel to cope with on the stages. And yet he is leading the rally at this point. Our silent protagonist is really warming up and sets the 8th fastest time on the first 3 stages. On SS15 he goes one better – or two in fact. 6th fastest on the 14,3 km stage of Jukojärvi. He is now less than half a second slower pr km than stage winner Hirvonen! One should also mention that Hirvonen was not holding a lot back as he had nothing to lose at this point. Another very important thing to notice is that he was matching Petter Solbergs times in these stages. Even beating him in SS15. It doesnt really show, but closer inspection reveals one of his best rally performances to date. It was a serious nudge to the car. Apparently he hit a rock and then slid into the fence as seen on the video. He lost 20 seconds in the stop itself and then probably 20 more due to the car damage. Later revealed as a missing front splitter. Amazingly, he is 7th fastest on SS18 and 9th fastest on SS19. He is complaining about the car but is still catching Matthew Wilson. SS20 and the car problems are showing. He is 1 second slower per km compared to 0,5 the first time through the same stage. The biggest setback is his front bumper/splitter that is missing so the lack of downforce has an effect over the longer stages. I couldnt follow the rally closely this weekend so I was initially a bit disappointed when I glanced at the times. At least until I got a closer look at his times coupled up with the incident on stage 17. Now having delved into the rally, I stand corrected and can only rate the rally as one of Kimis very best rallies to date. And please take a look at how he takes the turn at 2:39. Now that is one for the textbook of rally if such one did exist. Marvellous! I envy my friends that went and saw this rally live. I know you enjoyed it. As I have said before, rally is a complex sport. The rallies are so long and unlike F1 where one and a half hour on Sunday is what counts and gets the points. Here, you have to stay completely focused for 3 days to get a good result. I regret my initial disappointment when I learned just how well Kimi was doing and how much his pace had improved from last year. After 3 days, only 66 of the 115 starters remained. So it is undoubtedly a very tough and gruelling rally. The man on top was Sebastian Loeb. The only non-Finn to have won this rally twice. Impressive doesnt really cover his performance here – or this season in general. He is well on his way to his 8th title and the big question is if he will retire on top after this year. It would certainly be a perfect end to an amazing career. And the poor remaining competitors that win the next few titles will always have the “They only won because Loeb retired”, hanging over them. Anyway – Rally Germany is coming up. I would have loved to be there like I was last year but alas, I cannot. 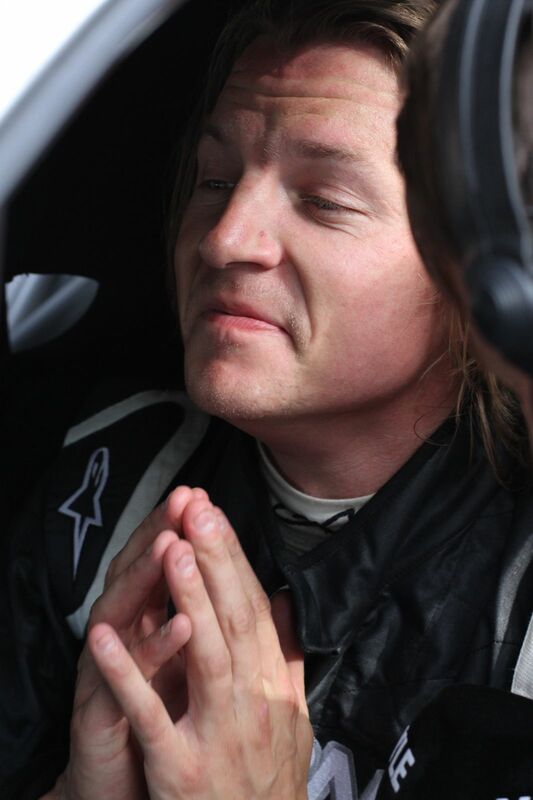 Still, its a tarmac rally so I expect Kimi to shine. If he keeps it on the road 😉 Go Kimi, go!!! 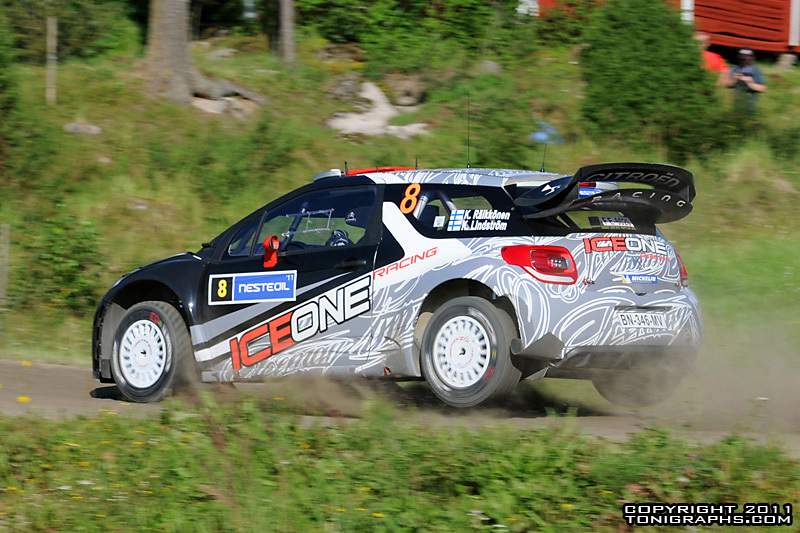 2 Responses to RALLY FINLAND – KIMI ON THE MOVE!